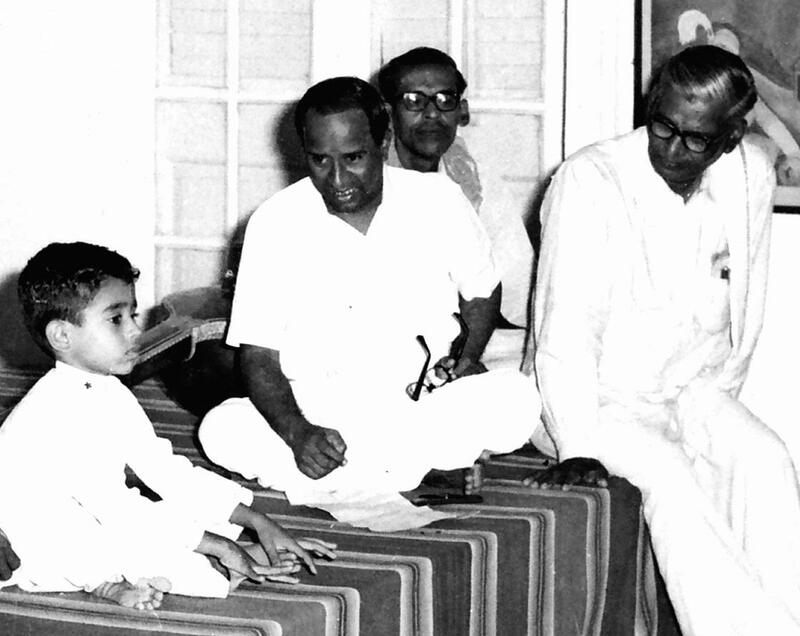 Vijay Siva’s life in pictures – We trace his life beginning from the raga identifying three year old child prodigy that he was to the erudite and respected musician that he is now. 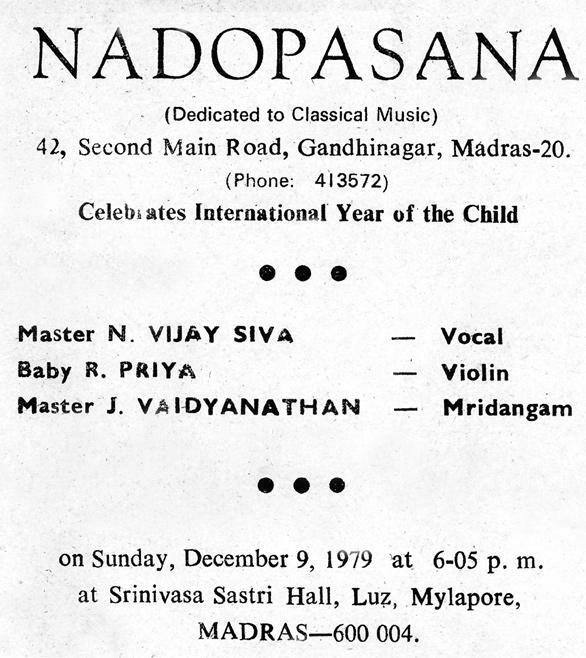 Vijay in concert with Thiruvallur Veeraraghavan (Violin) and Sanjeevi (Mridangam). 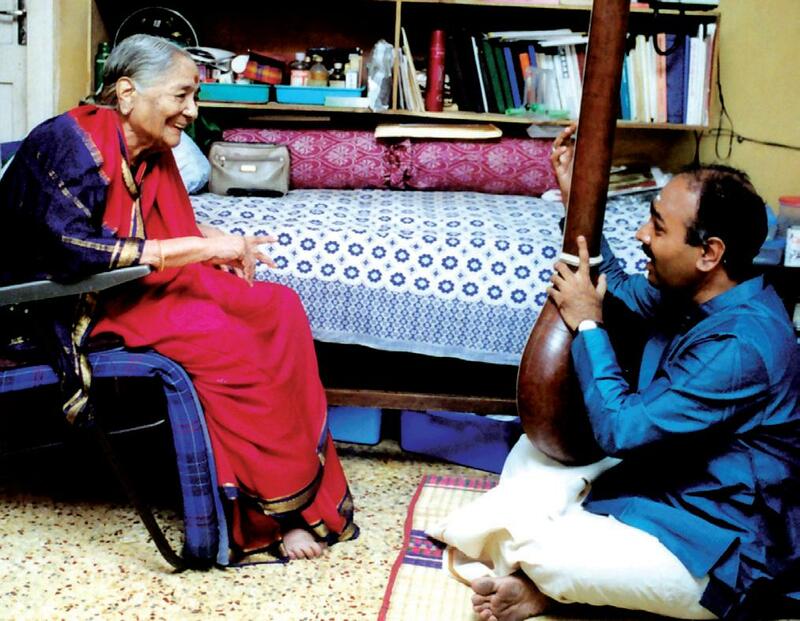 His mother Akhila is on the tambura. 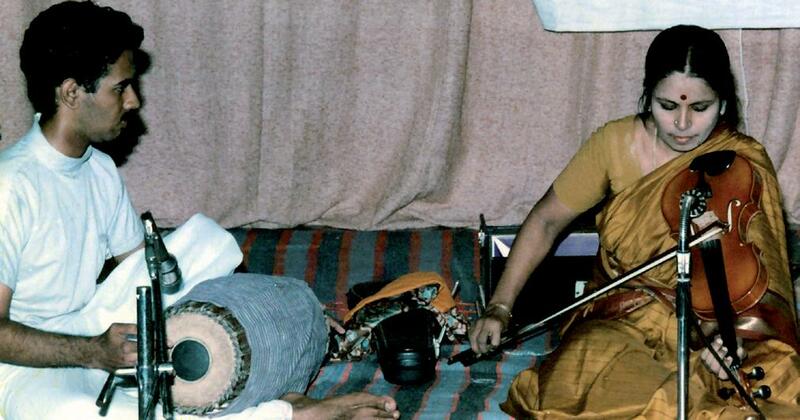 Vijay plays the mridangam as his mother sings. 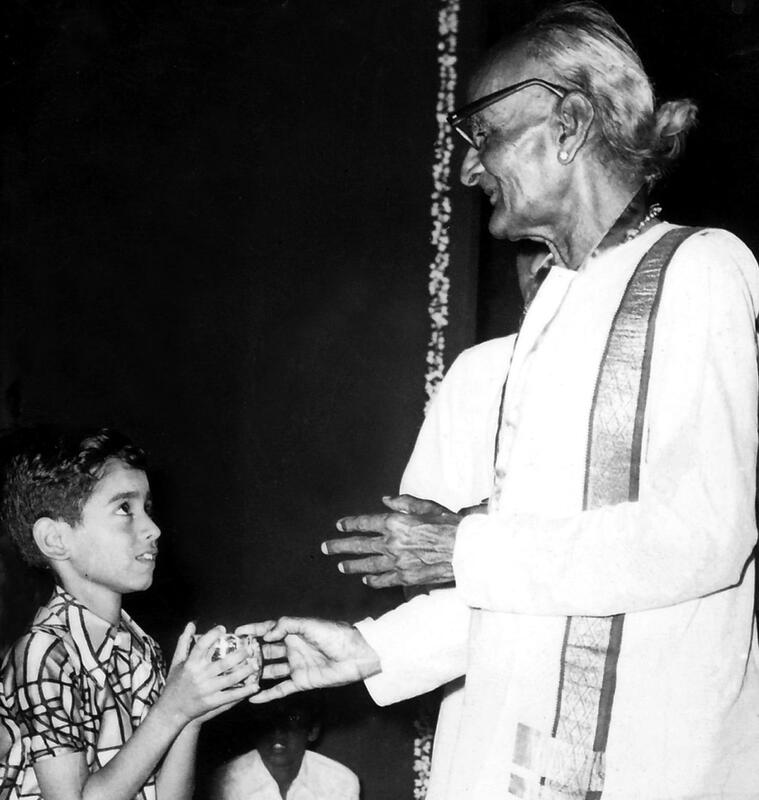 Vijay receives a prize from Nadaswara vidwan Thiruveezhimizhalai Subramania Pillai at the Tamil Isai Sangam in 1974. 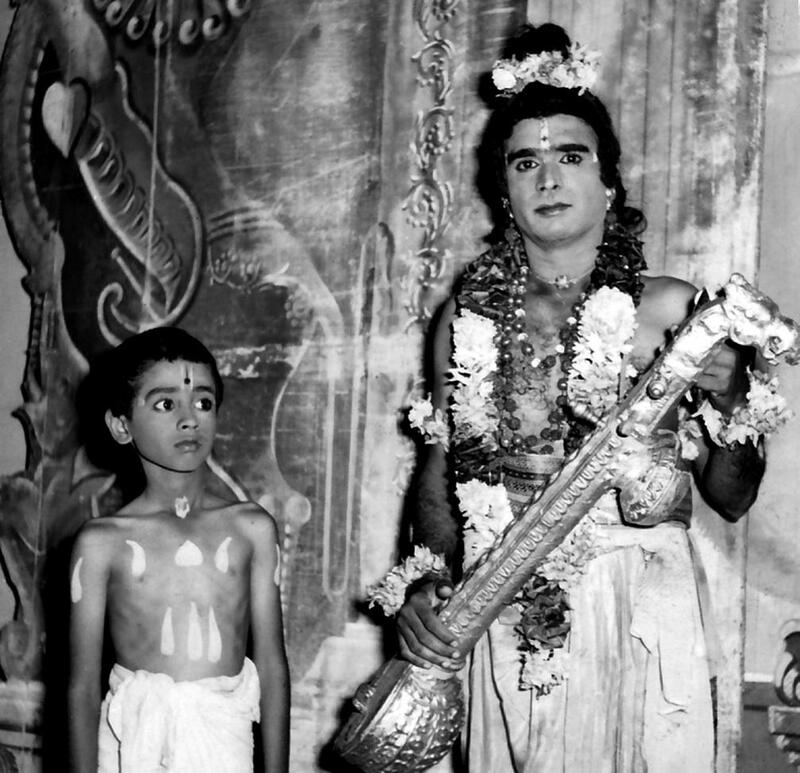 Vijay performs Harikatha (Avvaiyar Charitram) in 1975. Vijay Siva in the role of Lakshminarayanan (son of Saint Raghavendra) in the play Mantralaya Mahaan. 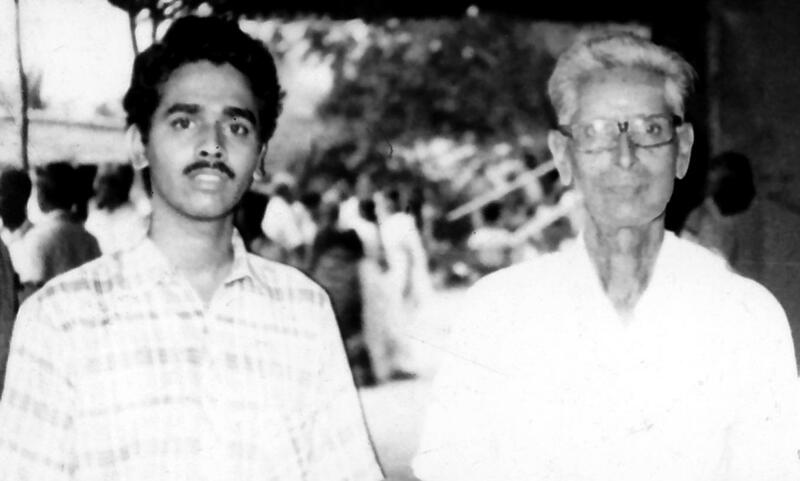 In the role of Narada is his father A.N.Siva. 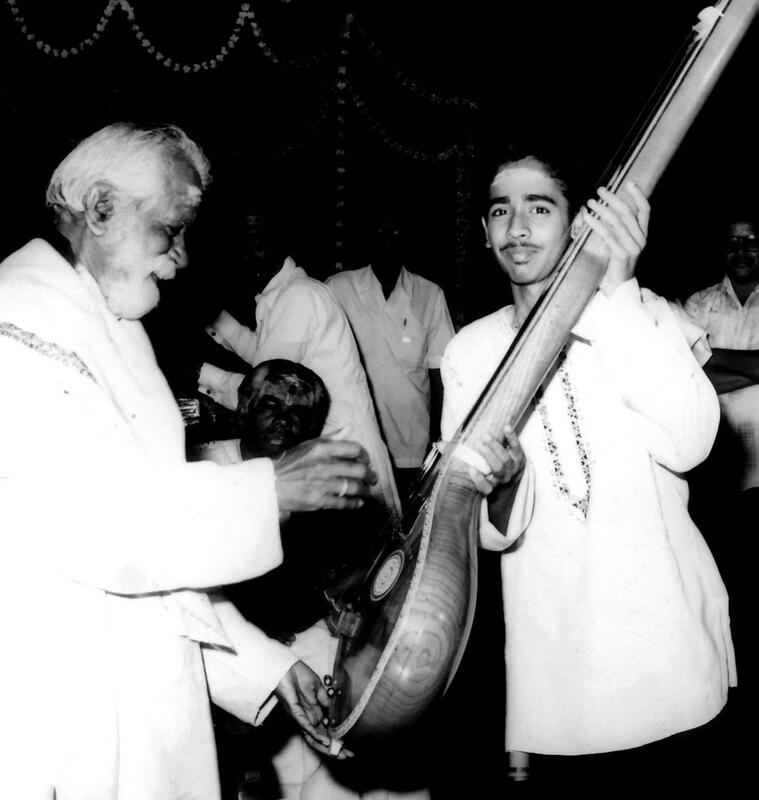 Vijay Siva receives the Rajaji Tambura prize from Dr.S.Ramanathan at the Tamil Isai Sangam in 1981. 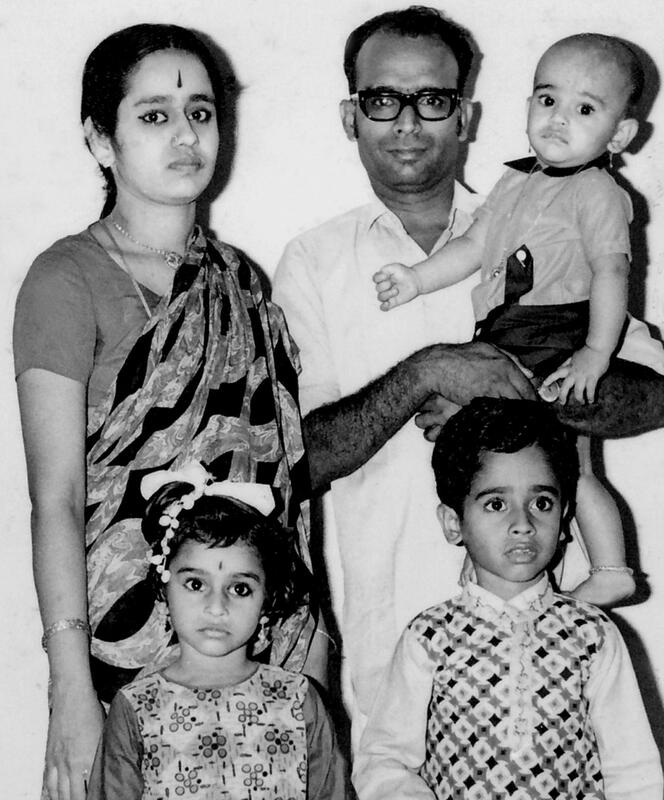 Vijay Siva with his guru D.K.Jayaraman and family. 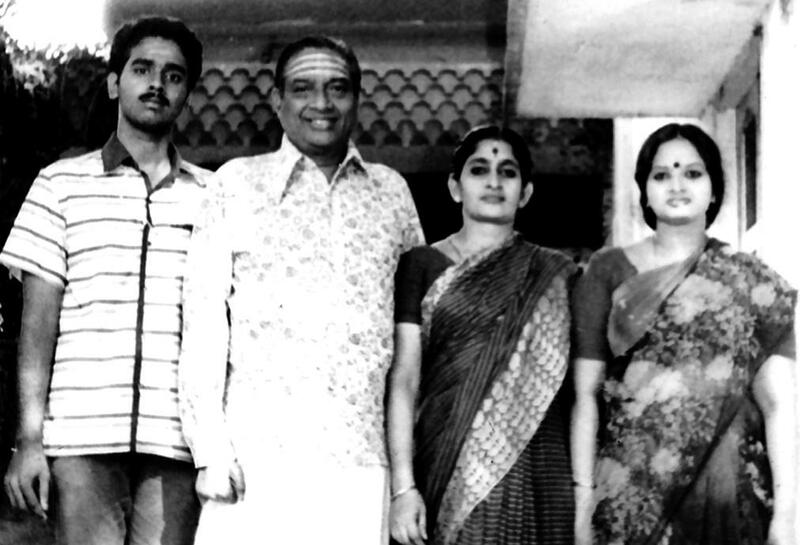 Vijay Siva accompanies Srimathi Brahmanandam at REC Trichy after a music competition in 1984. First anniversary celebrations of YACM in 1986. Vijay Siva (Secretary) with B.Kannan (President), Unnikrishnan, Shriram Kumar, J.Balaji, Ghatam Suresh and others. 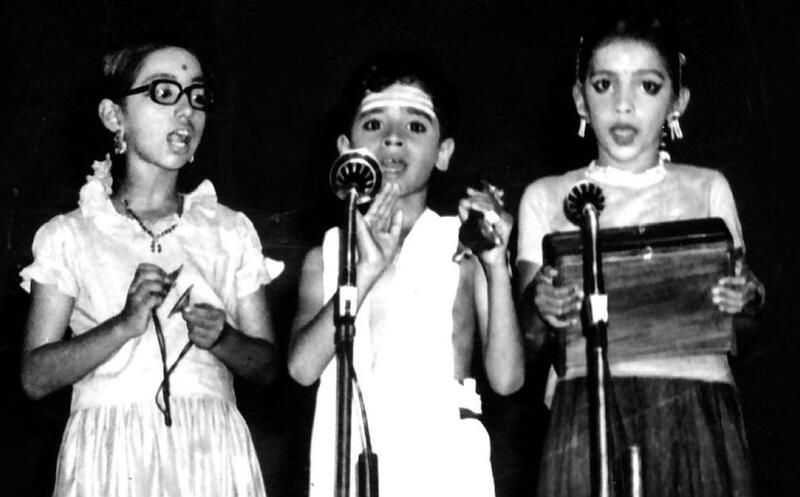 Also seen are maestros Semmangudi Srinivasa Iyer, M.S.Subbulakshmi and Sadasivam, Yesudas and Padma Subramanyam. 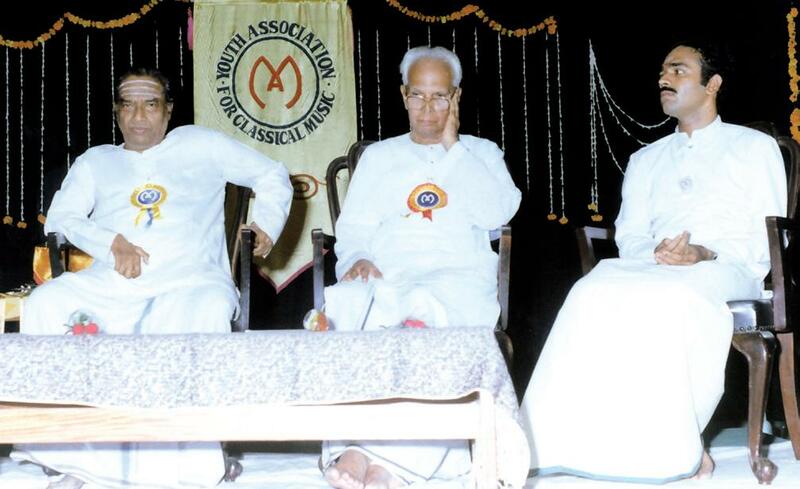 Vijay Siva with his guru D.K.Jayaraman and Sankara Menon during the valedictory function of YACM's anniversary in 1990. 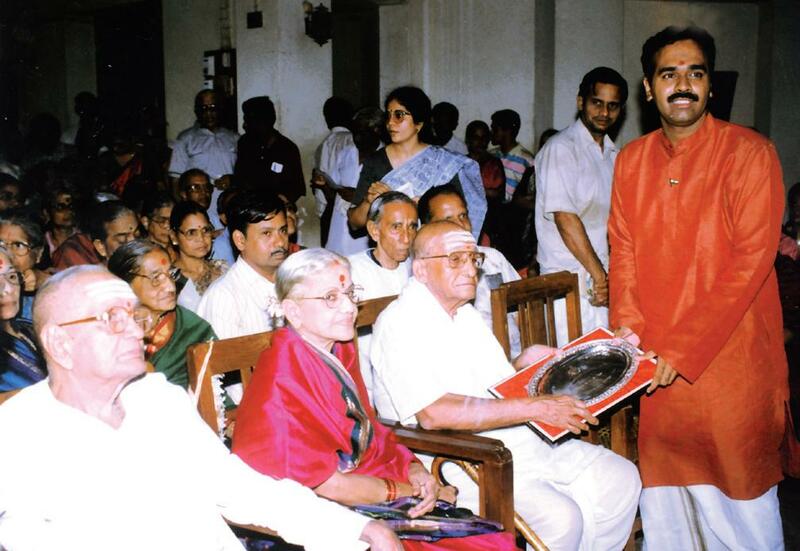 Vijay Siva receives the Isai Peroli from Kartik Fine Arts in 1995. 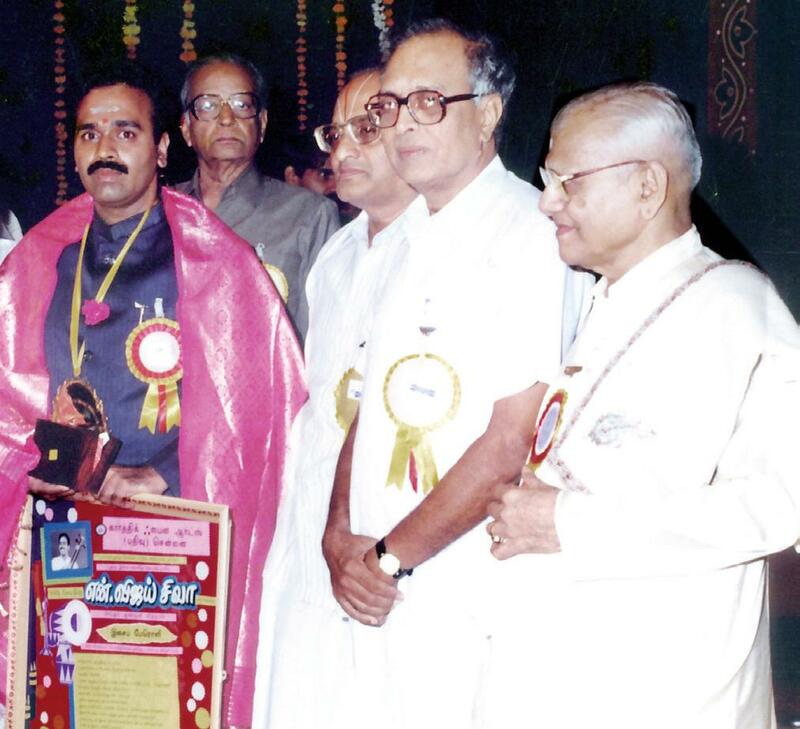 Vijay Siva receives the Kalki Memorial Award from Semmangudi Srinivasa Iyer in 1996. 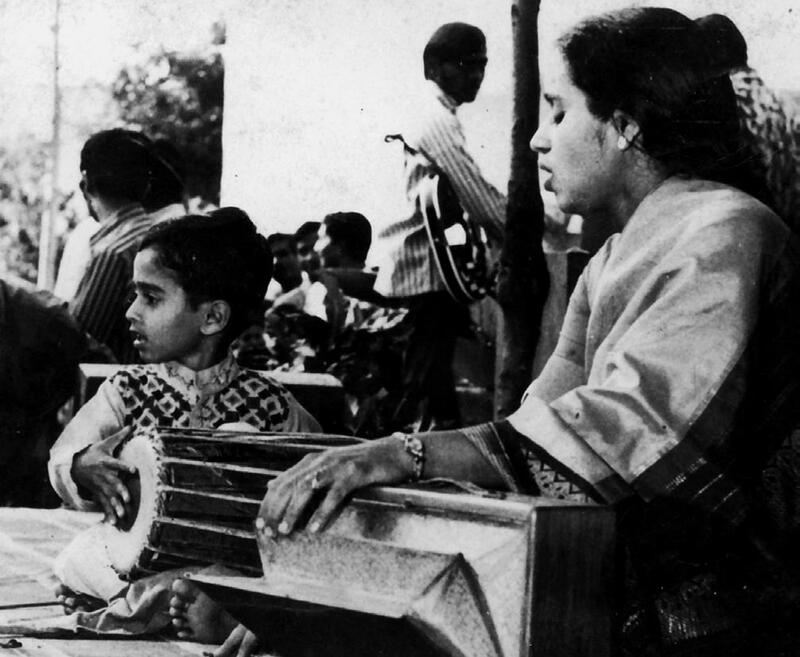 Also seen are M.S.Subbulakshmi and Sadasivam. Vijay Siva addresses the audience at a function. Vijay Siva in concert with maestros Palghat Raghu (Mridangam), Harishankar (Khanjira) and Mysore Manjunath (Violin). Vijay Siva learns from D.K.Pattammal. 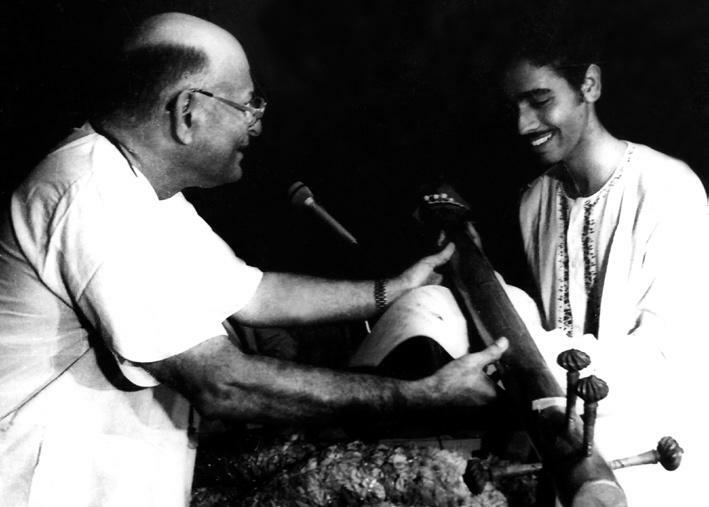 Vijay Siva in concert with R.K.Shriram Kumar (Violin), J.Vaidhyanathan (Mridangam) and B.S.Purushottaman (Khanjira). 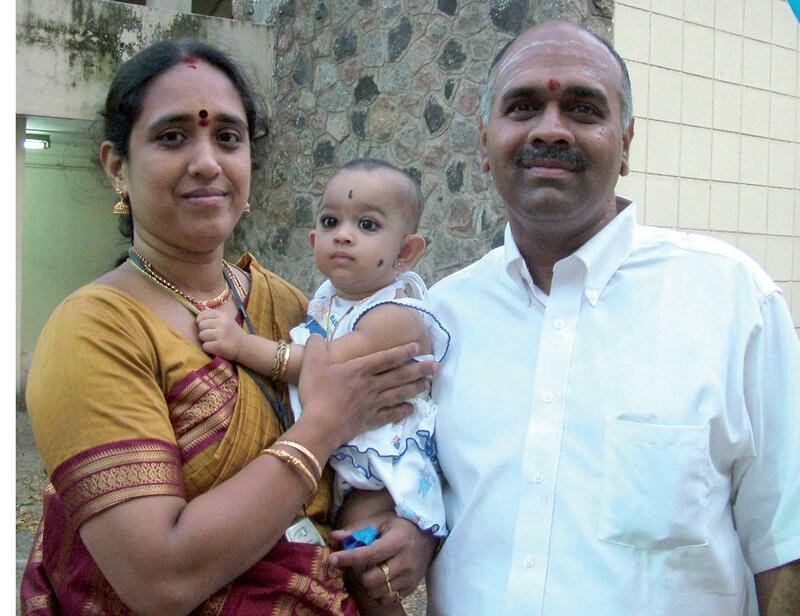 Vijay Siva with his wife Shymala and daughter Kalyani. We asked Vijay Siva two sets of questions – the first set on his music career and the second on Vijay the person. His answers were a clever play of words! We’ve reproduced his answers below. Have fun reading! 2 Career span So long, it has been short. Hope to be nothing short of long, in future. 5 First concert – venue Unable to remember the exact venue. Isn’t it a risk to recollect the age? 6 What made you pursue music as your career? The sheer joy of experiencing the highest bliss with others. 9 Favourite composer The one(s) who has not sought others to sing his/her composition. 19 Favourite holiday destination Anywhere, treating each day as a holy – day. 23 Most memorable incident Many incidents of having received help from so many people. Unable to choose and quote the best of them. 24 Most forgettable incident Already well forgotten. 25 Superstitious beliefs you have Not to ignore everything as superstition. Vijay Siva will perform at Bharat Sangeet Utsav on the 1st of November from 5:00 pm to 7:00 pm, with R.K.Shriram Kumar (Violin) and Manoj Siva (Mridangam). 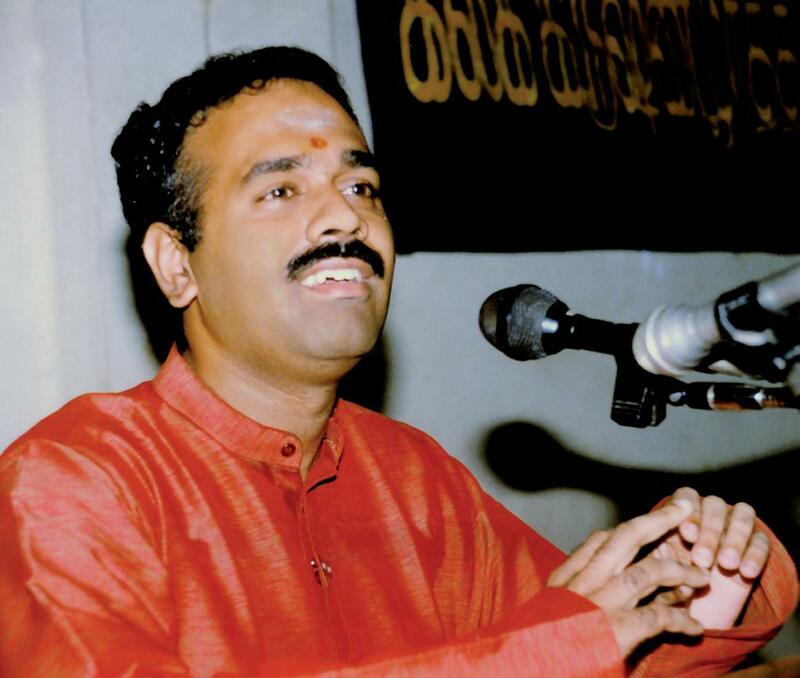 Welcome to Carnatica’s blog on Carnatic Musicians! 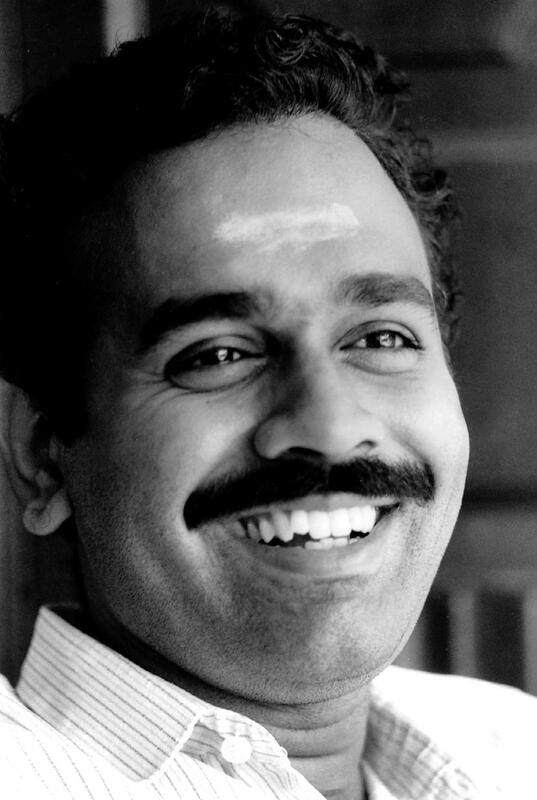 This blog is a tribute to all Carnatic musicians. Here we will put up little known facts about them, in addition to photos, audio clips, etc. We begin with artistes who will be featured in Carnatica's upcoming music and dance extravaganza Bharat Sangeet Utsav - 2008. We sincerely hope you will enjoy reading the posts as much as we did putting them together!